SAP SE and GE Digital today announced their intention to explore collaboration in the area of the Industrial Internet of Things (IoT). The announcement is driven by the fundamental shared belief in the power of the Industrial IoT, and the ability for joint customers to drive further efficiency, savings and utilization from their investments into assets. Building on the respective strengths of GE Digital and SAP, the companies plan to focus their initial efforts on opportunities to strengthen the integration between GE’s Predix operating system and SAP HANA® Cloud Platform. Additionally, the companies intend to collaborate in the area of asset management, including SAP Asset Intelligence Network, and to explore and design use cases to enable the “Things to Outcomes” vision for customers in the oil and gas industry. “Enabling the owners, operators and makers of their equipment to share data and context is an essential building block towards the enablement of end-to-end processes and our ‘Things to Outcome’ vision’,” said Dr. Tanja Rueckert, executive vice president, Digital Assets & IoT, at SAP. Customers in the oil and gas industry will be the first beneficiaries between the two companies. 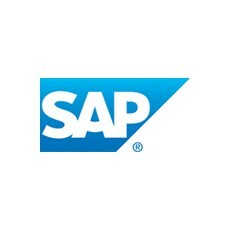 SAP and GE are both leading members of the Industrial Internet Consortium (IIC). This international network of companies and universities is driving the implementation of the Industrial IoT in several areas, including manufacturing. Both companies plan to reinforce their ongoing activities and uncover ways to work together on industry-leading standards to accelerate interoperability and convergence between IT and operational technology (OT).